Fast-food giant McDonald's is being urged to add a vegan burger to its US menu. New York Times Bestselling author Kathy Freston launched a petition, titled It's Time For A Healthy, Meatless Option (Please! ), which has been signed by more than 162,000 people. While the headline calls for a 'meatless' option, within the body of the petition, Freston calls for an animal-free option, writing: "Offering an option that is completely without animal products is ideal, not only for those who don’t eat animal products for ethical reasons, but for those who are lactose intolerant or have egg allergies." Freston initially launched the petition five years ago. 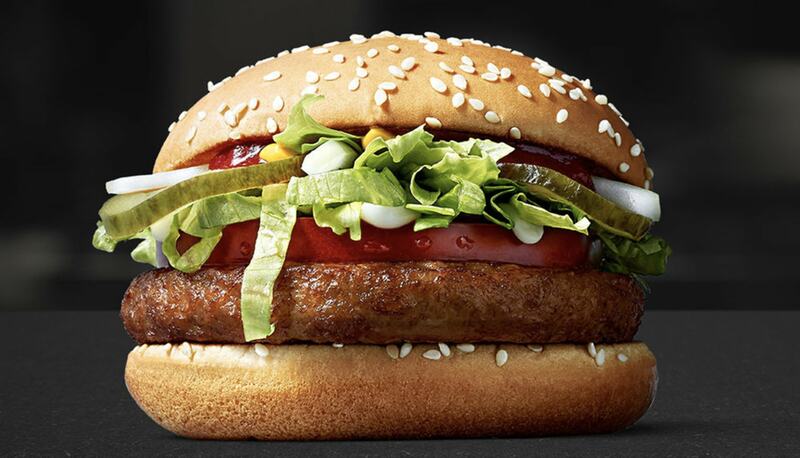 It has recently gained traction, with media pundits crediting Burger King's trial of the Impossible Whopper - which features the plant-based Impossible Burger patty for the surge. Posting to Facebook yesterday, Freston called on her fans to sign the petition, writing: "According to their website, Mcdonald's purchases 70,000,000 pounds of beef per year in the US (What?!?). "This alone is reason enough to incorporate a vegan option onto your menu. If that number dropped, even by a fraction, by offering a vegan, clean protein option, lives will be saved and you could make less of an environmental footprint." McDonald's offers a number of vegan products in Europe, including falafel nuggets in Sweden. It also offers the McVegan Burger in Sweden - which it rolled out across the country at the end of 2017. The burger chain is also trialing the El Veggo in Finland. In addition, McDonald's launched a vegan Happy Meal in the UK earlier this year - as well as a wrap which is suitable for those on a plant-based diet (though there is arisj of cross-contamination due to the cooking method). Last year McDonald's revealed it could have more vegan options in the pipeline. Lucy Brady, a Senior Vice President for the company, said the company is tracking major trends and how to keep up with them while speaking at the recent Most Powerful Women Next Gen Summit in California. Leading vegan media outlet VegNews reported Brady as saying: "Plant-based protein is something we’re keeping our eye on."